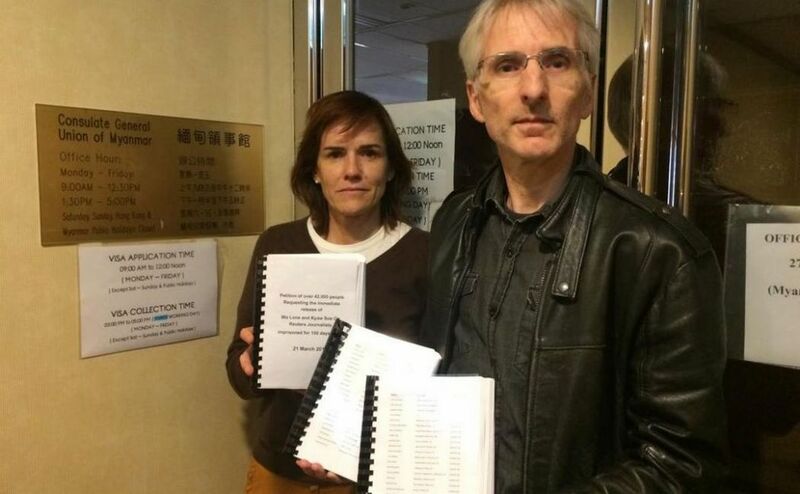 Hong Kong’s Foreign Correspondents’ Club (FCC) has submitted a petition calling on Myanmar to release two detained Reuters journalists. The petition was signed by over 42,000 people and represents ten foreign press clubs across Asia. 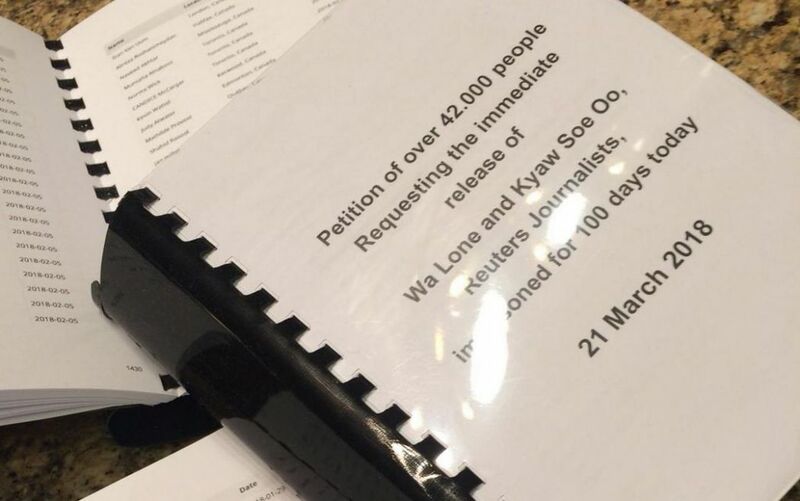 Reuters journalists Wa Lone and Kyaw Soe Oo were arrested by Myanmar police in December on suspicion of violating the rarely used colonial-era Official Secrets Act. They had been investigating the killing of 10 Rohingya Muslim men by Rakhine Buddhists and Myanmar troops. FCC Hong Kong President Florence de Changy with Geoff Crothall of the FCC’s Press Freedom Committee. Photo: FCCHK. The UN has accused the military of the ethnic cleansing of the Muslim Rohingya in Rakhine state, though the armed forces says it is fighting Rohingya militants. The detention of the two journalists is widely believed to be politically motivated, and has been criticised as an attack on press freedom by NGOs and journalists’ organisations. 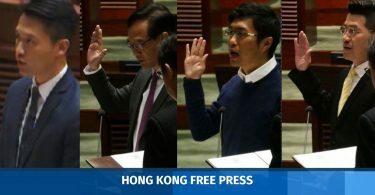 A group of representatives from Hong Kong’s FCC walked to the Myanmar consulate on Wednesday – the 100th day since the journalists were detained – to submit the petition. Reuters has called for the two reporters’ prompt release and says they are innocent of any wrongdoing. “They have been detained in Myanmar since December 12 simply for doing their jobs as journalists,” Reuters President and Editor-in-Chief Stephen J. Adler said in a statement on Wednesday. The Myanmar government has said that the journalists were arrested for possessing secret government documents related to Rakhine state and the security forces, and that they illegally acquired the information with the intention of sharing it with foreign media.